Climate change is one of the greatest social, economic, political and environmental challenges facing our generation. The debate around climate actions is a strategic objective of the British Council where it seeks to achieve a faster transition to sustainable, low carbon economies. The British Council’s Climate Change Project in India & Sri Lanka will focus on mitigating the effects of climate change in an urban environment. It is part of the British Council’s major global climate security project and India is, along with China, one of the top two priority countries for this work. Sri Lanka, with less than 2% of India’s population and correspondingly lower carbon emissions, is a lower priority. Posted in Climate Change and tagged British Council, British Council India, Climate, Climate Change, Environment, Global Warming, International Climate Champions, International Climate Champions Camp on April 23, 2012 by British Council India. Information is power, said Robin Morgan. And this power is gaining more and more momentum online or in the ‘new media’ sphere. It engages and empowers millions of internet users. Internetworldstats.com pitches the figure at 2267 million users worldwide. The mediums are many- blogs, video blogs, youtube, social networking sites, online petition campaigns. This medium is fast gaining recognition for lobbying for environmental action. We all are familiar with the power of the ‘share’ and ‘like’ button, thanks to a certain Zuckerberg. The COP meets for past few years had a number of civil society observers and independent bloggers. There were a lot of independent videos and documentaries produced. There are now official ‘tracking teams’ at such summits, each responsibly and dedicatedly reporting back to their home countries from these international forums. Though traditional media continue to report at the forefront of such events, but the dynamism and the connectedness of the online media is unmatched. Especially among the youth, it continues to be the top most source of their daily news dose. Off late, I have realized the power of the audio-visual media to tell inspiring stories and the power of sites like Reddit, Digg, Stumble upon and of course Facebook to spread this work around. I participated in a two month online film-making course by noted environmental film-maker Nitin Das, organised by the British Council for select climate champions from India. Short documentaries were prepared by all participants and we have been circulating this work through a group called ‘Circle of good’ on Facebook and other social media tools. It was formed with the objective of creating a platform to find an audience for our creative work (mostly of environmental and climate change advocacy category). This viral experiment is on-going and we hope to take our stories to a wide audience using social media. I chose to make my documentary on the subject of solar energy called ‘Solar Sangh’ which tracks an initiative of two young postgraduate students trying to spread solar energy technology to the masses. In India, the target audience for solar technology is associated with villages and the rural poor. We miss out on the urban poor that form a sizable segment in our cities. There are many such stories waiting to be told. In the coming times, youth will play a major role in taking mitigation and adaptation actions for climate change. And social media will humbly be the medium of their messages. ‘Medium is the message’ coined by Marshall McLuhan holds a new meaning. 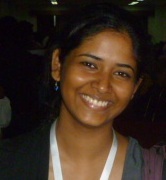 Rozita Singh is British Council’s International Climate Champion. If you are an environmental filmmaker (professional or amateur) or are simply interested in watching environmental films, you too can join the Circle of Good group on Facebook. Posted in Climate Change and tagged Ayush, British Council India, Car Pooling, Climate Champions, Climate Change, Dinesh, Enchanted Amazon, Filmkaar.com Tanya, Global Warming, Nitin Das, Plastic Bottle Reuse, Save Electricity on April 2, 2012 by British Council India. What does the future hold? A question that is relevant for each of one of us. Not just as individuals, but also as a society. Our world is undergoing a period of rapid change and a lot of this development is happening at the cost of the environment. But the positive aspect of this development is that it is connecting the world together. Helping us share knowledge, ideas and solutions. To build on this idea, we carried out a very interesting project. We worked with a small group of dedicated young people from the British Council Climate Champions network and trained them in the art of filmmaking over a period of 2 months. Given below is a selection of some of the films that were made by the climate champions. Film by Ayush (Save Electricity) - “Through this film I have thematically tried to bridge the gap between our daily-practices and their indirect but definite impact on the environment” says Aayush. Film by Dinesh (Car Pooling) - “Cars, cars everywhere; not a hint of movement’, this was the thought in Dinesh’s mind when he made this film. For more information on the British Council Climate Champions project visit this link. Posted in Climate Change and tagged British Council, British Council India, Climate, Climate Change, Environment, International Climate Champions, International Climate Champions Camp on February 14, 2012 by anu04. Day 7, Having worked through the night both for the presentation and our dance, we got up a little later than usual, in time for our final rehearsal for the presentation. With a little more correction to our recommendations and compilations we were finally ready for the big show. Dressed in the British Council T-shirts, we gathered at the conference hall, where all the VIP’s including the Maharaja of Jodhpur Gajsingh ji, Members of ‘Wells For India’, Scientists from CAZRI and AFRI, Deputy Director of British Council Charlie Walker and our very own Reesha Maam and Guru Sir. Then began the round of presentations, at the end of which the chief guests expressed their pleasure in organizing such camps and its importance. Following this formal gathering was the cultural show, where a group of native singers had come in to entertain the guests. As we were nearing the end of the camp, both happiness and sadness took on high and all of us started displaying our own talents in dancing (can be better called spinning) to the native tunes. After the Maharaja left started our own party, which proved that even our dance rehearsal was a success and this party lasted all night resulting in us skipping our breakfast the next day. We had to finally split up, but the learning during this camp was not only the subject of climate change but also friendship and teamwork. In the end we were all sure that this camp will certainly encourage us to do further work in our own fields and we would help each other to bring an environmental change in our society. Posted in Climate Change and tagged British Council, British Council India, Climate Change, Environment, International Climate Champions, International Climate Champions Camp on February 14, 2012 by anu04. Day 6, From day one, we had started off with lectures that were punctuated with field visits on the same topic. But day six had something different for us. 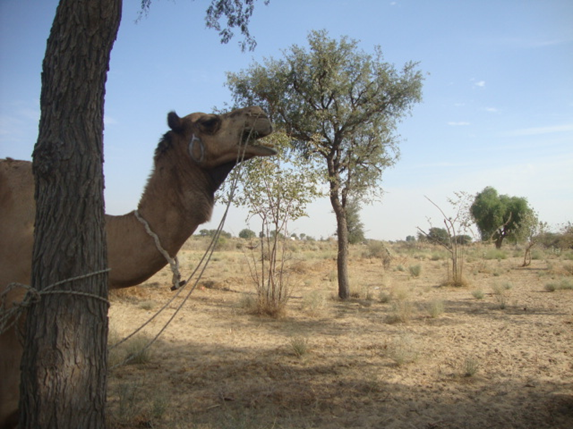 Our field visit and our lectures were combined and we were taken to the Central Arid Zone Research Institute (CAZRI) and Agro Forestry Research Institute (AFRI), where the scientists showed us the various projects that they were involved in to improve the lifestyle of the people of Rajasthan. At CAZRI , it was the solar energy based products that served to be the beginning of a very exciting visit. Here were products ranging from candle making machines to dryers to heaters, all based on solar energy, which could be purchased by the villagers due to its affordability. Next, we were introduced to the process in which desert plants, which are facing extinction, are being conserved. The efforts taken to make Julie Flora (a plant found in plenty in this desert) economically viable were showcased. After our visits, Dr.M.N.M.Roy, Director, CAZRI, briefed us about CAZRI and the projects they were involved in. At AFRI, Agro-Forestry was the major topic. The process of growing forest plants in the agricultural fields in a condition which will benefit is agro-forestry. It is this aspect that AFRI has been trying to implement in the lands of this desert. The evening was spent in an effort to prepare our presentations that we would be presenting to the Maharaja of Jodhpur the next day. The fun part was our preparation for a small dance that we wanted to present for ourselves and our mentors of course. With heavy conclusions to our presentation and recommendations clouding our minds, we waited for the big day to arrive. Posted in Climate Change and tagged British Council, British Council India, Climate, Environment, International Climate Champions, International Climate Champions Camp on February 14, 2012 by anu04. 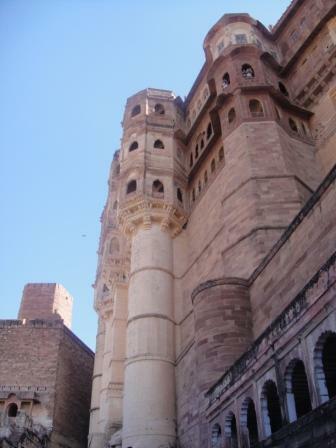 Day 5 was a trip to Mehrangarh Fort in Jodhpur. The drive up to the fort begins to reveal the majestic presence it holds across the city. We were met by our guide for the day. The foundations of the fort were laid in 1459 by Rao Jodha and it has never been invaded. The fort is therefore considered one of the mightiest forts of all time and one of the most spectacular forts in South Asia. The fort was donated by the maharaja as a public building and has since been turned into one of the best museums in India. The tours included the beautiful Period Rooms, impressive collections of palanquins, elephant howdahs, cradles, paintings, weapons …the magnificent heritage of the Rathores of Marwar – Jodhpur. The terraces of the fort offer a view across the blue city – the maze of buildings in the old town painted in a distinct blue which provides the eye with a vision fitting to the fort that overlooks it. The indigo blue paint not only reflects sunlight to keep the homes cool but also act as mosquito repellents. Part of our tour included an explanation of the water harvesting system of the fort, past and present. We were guided through the old town, again shown the old water management systems. These are no longer used within the city following the connection of the Indira Gandhi canal to provide the city’s water. The narrow streets of old Jodhpur were bustling and vibrant. The International Champions were dazed by the interaction between, humans, animals and vehicles. A dose of ‘retail therapy’ was needed after such a packed week so we explored the many shops offering local textiles and handicrafts. A great day for all. Day 4 dawned with an insight into the main income generating industry of Rajasthan, Mining, by Mr.M.S.Rathore.With around 64 minerals in its earth, it provides employment to a majority of the population here. He went on to explain that illegal mining has been a reason for both exploitation of human resources and the loss of bio-diversity around the mining site. Under the impacts of mining, health is the most important. The safety measures that are provided by the company are not effective and even if it is effective, the people do not follow some of the safety instructions due to lack of awareness. This is one major problem that needs to be addressed. Also the method of mining is still traditional which has increased the intensity of impacts. With the knowledge of mining strong in our minds we visited the Balsamand Lake to visually understand the repercussions of mining when it is done illegally. Apart from learning the history of the lake which involved a human sacrifice, we learnt that one of the channels of this lake is to be revived soon because of water scarcity in the area of Balsamand. This gave us an insight into the effect of the people becoming dependant on the Indira Gandhi Canal for water. Next we had a look into a sandstone mine which was close to the lake and how it had affected the natural channels and the catchment area of the lake due to illegal mining. Once back to the resort we had another NGO, ‘Wells For India’, like Jal Baghirathi Foundation, address us about the similar kinds of work they were doing for the poor in Rajasthan. This presentation delivered by Dr.Max Wilson , Chairman trustee, Wells for India, reinforced the ideas of traditional water harvesting and enabling desert greenery apart from providing sanitary and some technological supports to the poorest of villages. ‘Wells for India’, started by two Britishers, had changed the lives of the villagers to such an extent in the last 25 years that we could understand the barriers which they had to cross to achieve all this. In one word, ‘Inspiring’ will be the best word to describe our experience. The end of the day signified that any new solution should only supplement the existing traditional methods and should not replace it. Posted in Climate Change and tagged British Council, British Council India, Climate, Climate Change, Environment, International Climate Champions, International Climate Champions Camp on February 6, 2012 by anu04. Day 3: The day began with a lecture by Dr. PBL Chaurasia, Principal,VyasEngineeringCollegefor Girls,Jodhpur, on the scope of renewable energy sources, with a focus on solar energy. Dr. Chaurasia has carried out research at Fuel Cell Laboratory,UniversityofBermingham. We learnt that while India has 17% of the world’s population it has an electricity consumption of 2%. At present,Indiahas an installed capacity of 1,85,500 MW and the National Solar Mission envisages to achieve solar power of 20,000 MW by 2020. According to Dr. Chaurasia, “Thar Desertalone has the solar potential to meet the entire power requirement of the country.” He introduced us to various innovative solar devices like solar candle making machine, solar still, solar PV pump and integrated solar device (heater, cooker, dryer combined). We also came to know about an innovation called passive cool chamber- a refrigerator which runs without electricity (Rs. 5000). It works on the principle of evaporative cooling, keeping the vegetables and fruits fresh for 3-5 days and milk products for 3-5hrs. He observed that currently there is market failure in allocating resources efficiently. So, he advocated technology led solutions and an equitable distribution of cost for environmental conservation. Along with this, Mr. Balia proposed that policy makers should adopt a holistic approach and that law should be aligned with economics, to do away with regional imbalances. In the afternoon it was time to visit a recharge well (beri) in Judia. We were accompanied by a camel which caused much amusement to the champions! 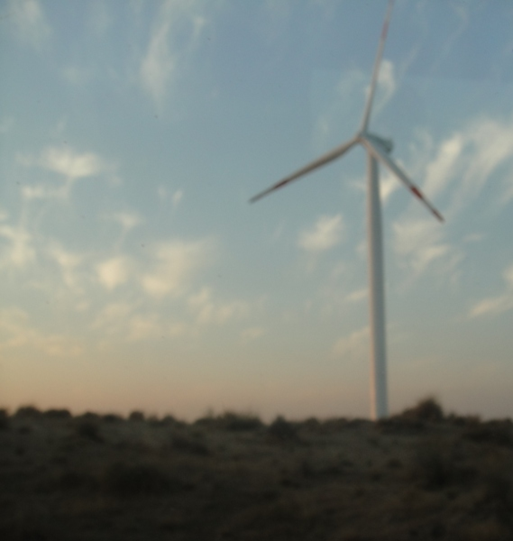 Next we visited Suzlon’s monitoring station at Balesar to learn about wind turbine generators (WTGs). The station monitors the 91 WTGs owned by various companies that generate a cumulative power of 140 MW. We enquired the cost and found out that 1MW WTG amounts to roughly Rs. 6 crore with an operational cost of Rs. 15,00,000-16,00,000. The power generated is fed into the state grid and the companies are paid for it by the government. We felt very fortunate to visit one turbine, equal in height to a 25 storey building. Some myths were dispelled here, such as wind turbines cause noise pollution and being the cause of death for birds. The surrounding picturesque landscape at sunset provided the perfect ambience to retrospect on the day’s learning. Posted in Climate Change and tagged British Council, British Council India, Climate Change, Environment, Global Warming, International Climate Champions, International Climate Champions Camp on February 3, 2012 by anu04. Day 2 of the camp began with an extremely positive insight into how an arid saline wasteland could be transformed into a vast green campus with 15 lakes. This impossible task had been achieved at the Aravali Institute of Management by its inspiring Director Mr. Varun Arya, an alumnus of IIT and IIM. “This change that was effected within 6 years involved a lot of political and societal struggle”, said Mr. Arya as he explained about how they had used the traditional water harvesting system of Jodhpur. “Through this system we could fill up 6 lakes during a single rainfall”, he added. The process involved setting up saline resistant plantations, removing the existing English Babool (a plant which causes infertility of soil) apart from rain water harvesting. The lecture inspires that anything is possible with the right passion and compassion. Mrs. Kanupriya, Project Director at Jal Bhagirathi Foundation (JBF)was the second speaker of the day and she explained the work done by her organization and how water is an integral part of the culture of Marwar region of Rajasthan. JBF works with over 300 villages in rural Rajasthan to revive traditional rain water harvesting structures to achieve water security. Two documentaries; ‘Rain for Change’ and ‘Water for All’ were screened on the same. It was incredible to know how access to a reliable supply of water had brought tremendous socio-economic improvements in people’s life including sanitation and increased enrolment of girls in schools. In the afternoon we visited a village Shivnagar in Pali district, Jodhpur where a resource management plan and water harvesting system had been implemented by JBF. A group from the community greeted us with a Tikka, jaggery and big smiles. We were given a tour of the Talab, where rainwater had been collected via the catchment area, with details of the structure and how the salinity of the water decreases during the summer. When we arrived at the village, the children were the first to run up, curious to know who had arrived. Interestingly, the village had a lady Sarpanch who had been empowered through the support of the Jal Bhagirathi Foundation to an extent that she also helps the development process through a number of other villages. We also saw the social map of the village drawn on a wall as part of the PRA (Participatory Rural Appraisal) exercise conducted earlier. This marked the houses which had toilets, the houses below the poverty line and other resources in the village such as the community centre. At the end of the day we were mesmerized by the idea that- An area with just 200mm of rainfall can have access to clean water all year round just by reviving the traditional systems of water harvesting. Posted in Climate Change and tagged British Council, British Council India, Climate, Climate Change, Environment, International Climate Champions, International Climate Champions Camp on February 3, 2012 by anu04. After about three hours of flying across three states we arrived at Jodhpur , and our entry into the Water Habitat Retreat was flagged by the royal appearance of the building which served to be a visual treat for us. This structure which was once the hunting palace of the Maharaja is now a representation of the traditional water conservation mechanism with one of the largest catchment areas. With a lake and an annicut to keep us company through our stay, our learning will turn out to be a more visual. We were given basic information about the city of Jodhpur by Mr.Karni Singh, Director of Mehrangarh Fort Trust. We then proceeded for a ‘Water Walk’ which basically was to enlighten us about the various water conservation systems of Jodhpur that were present within the campus. We were assisted by Mrs.Kanupriya, Project Director of Jal Bhagirathi Foundation, an NGO which is reviving traditional Water harvesting systems in Jodhpur. Apart from the technical explanations we also came to know about the history of the palace and various other interesting stories which included haunted areas in the campus. The day ended with a briefing on what we would be experiencing in the coming week and we dispersed with high expectations on what is in store for us.